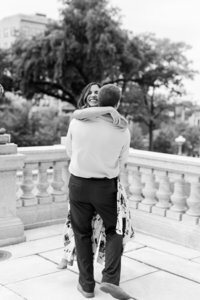 Troy + Katie | Engaged | A Historic Third Ward + Milwaukee Lakefront Engagement Session. 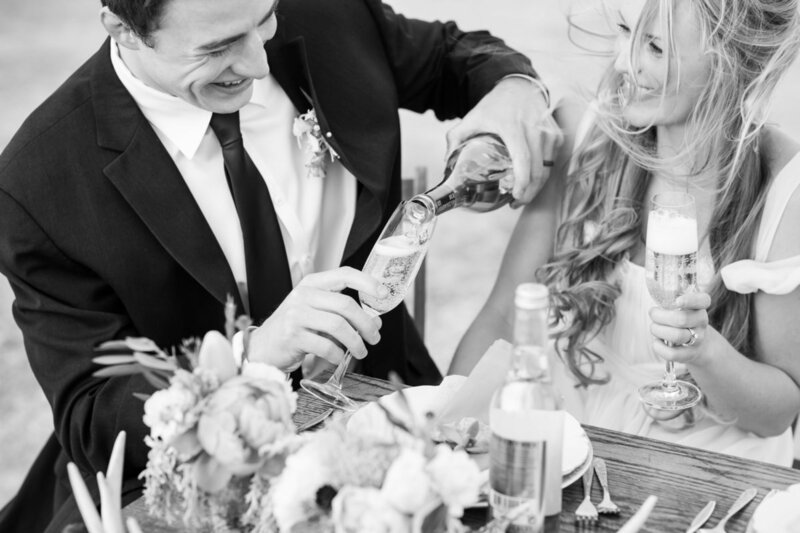 Everything about T+K’s engagement session was just perfect! It was a beautiful spring evening with warmer temps, the sun was glowing, Troy + Katie were full of giggles–just WAIT until you see Katie’s smile! !–AND we got to meet their seven-month-old golden retriever, Jordy!! He is HUGE, adorable, + has the quirkiest little mannerisms!! He did GREAT for being a puppy!! Troy + Katie will be getting married this October here in Madison where they both did their undergrad : ) We are SO excited for them to be husband +wife!! It was fate that they met, + they are absolutely perfect for each other. Katie is SO sweet + just an outpouring of love + genuine care for others, while Troy is the steadfast engineer who can solve any problem (while dishing out a witty joke or two)!! 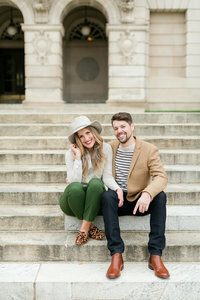 We had a blast with them last Friday : ) Enjoy some of our favorites from their engagement session!! 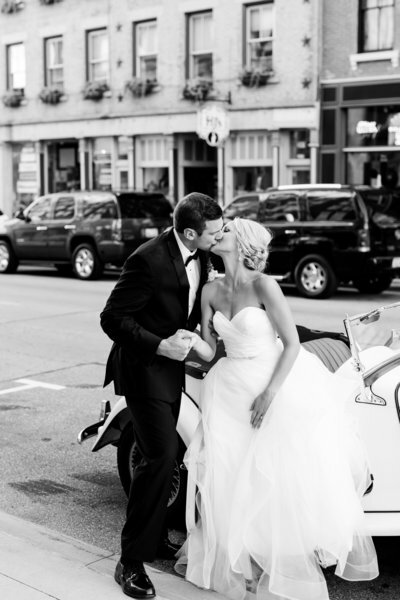 We started out the session at the Iron Horse Hotel in Milwaukee where Troy + Katie got engaged!! This is the EXACT spot where Troy + Katie got engaged!! Definitely my favorite!!!!!! That glow!!! And then we got to play with this guy!! He is so perfect!! How adorable is that smile?! Ahhhh, this location makes my heart soar!!!! My beautiful niece and her handsome hubby-to-be… these are gorgeous photos!! Thank you so much, Anne! We had so much fun with these two!! These are amazing engagement photos. 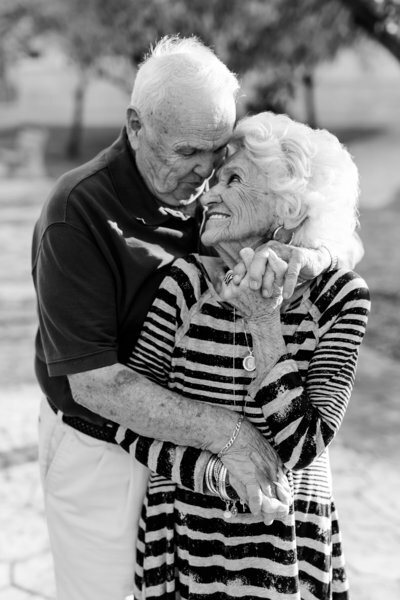 Each one captures a wonderful essence that this couple exudes. I kept finding my favorite photo over and over and decided I couldn’t decide which one I like best. I did laugh at the one where they are kissing and their dog Jordy appears to be yawning! Katie and Troy have contracted Connie and me of Happily Ever After Wedding Officiants to officiate their ceremony and we couldn’t be more excited – it is going to be memorable and we hope to touch people’s hearts and funny-bones as we share their Love Story. So not only are they a couple obviously in love but they are being photographed by a photographer who obviously loves photographing couples in love – what a great combination! Hi James! Thanks for such kind words!! 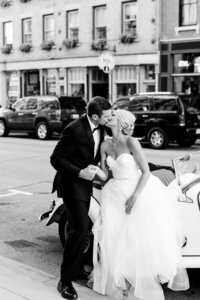 I’m not sure if you remember officiating James + Elle’s wedding last fall on the rooftop of the Monona Terrace, but we photographed that wedding + you were the officiants 🙂 It will be great to work with you + Connie again!! « Desert Inspired Styled Session | Style Me Pretty Feature | A Rustic Chic Desert Elopement.